Our philosophy is that healthy hair can change your life. We understand that hair is more than just a style: it’s a part of who you are. 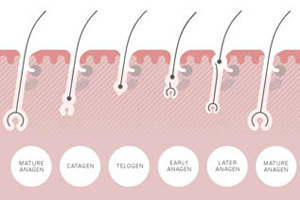 As our founder Philip always said, “hair is the single most important part of your body affecting your psyche”– so you can trust our experts to care for yours. A consultation with us is a comprehensive two-hour appointment. 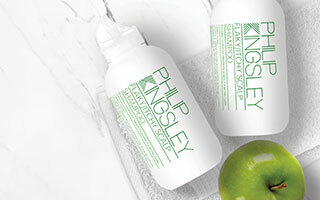 First, one of our Philip Kingsley Trichologists will examine your hair and scalp in detail, to establish every factor that may be affecting you. We will explore details of your diet and exercise; your medical history; your family history; and in some cases, we will request blood work for a more in-depth analysis. 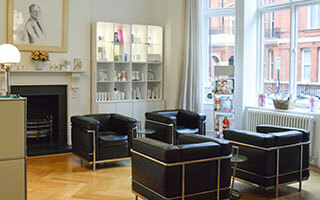 The second hour of your appointment will be a bespoke Philip Kingsley hair and scalp treatment. One of our expert Trichotherapists will apply hair and scalp masks tailored to your specific needs, along with heat, steam, and infrared therapies. They will use stimulating – and, of course, relaxing – scalp massage to help you begin your journey to beautiful, healthy hair. At the end of your consultation, you will receive a personalised, at-home care plan. Our Trichologists are with you every step of the way. 16 E 52nd St. 9th Floor. Our dedicated reception teams, in both London and New York, are always happy to answer any of your questions or concerns.